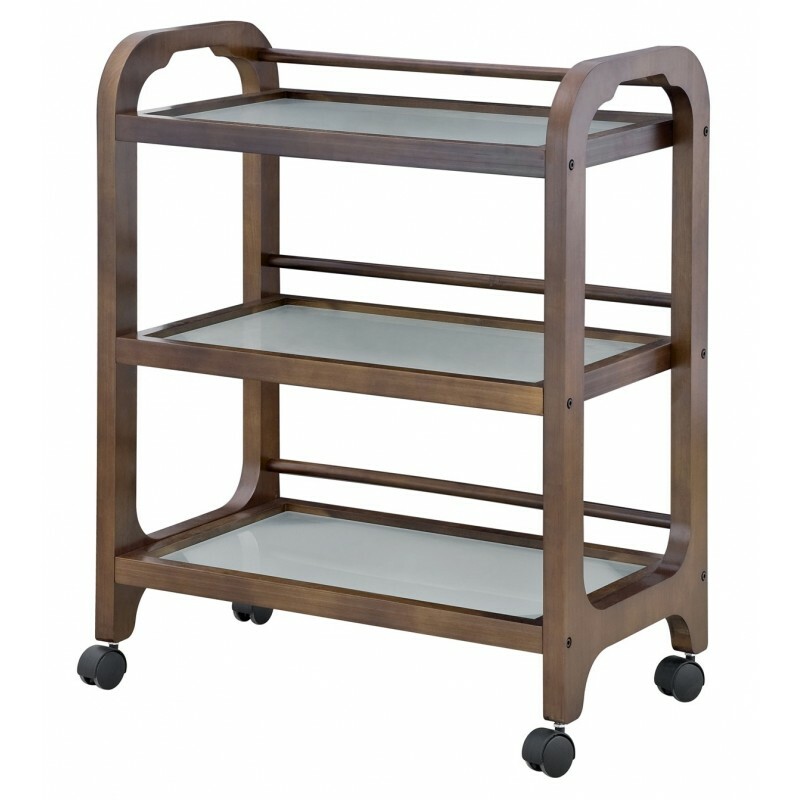 Wooden beauty trolley conceived for SPA resorts. It is equipped with 3 shelves in translucent glass. Rear handle and wheels to facilitate its mobility.